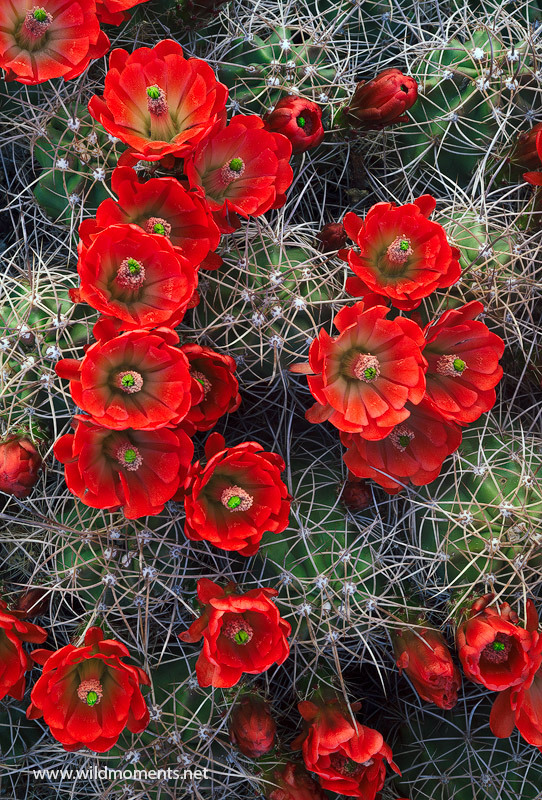 This was the only claret cup cactus that I found in bloom during my four days in the California park in late March. It was wedged in between a deep crevice of rocks in the higher elevations of the area. Photo © copyright by Michael Greene.